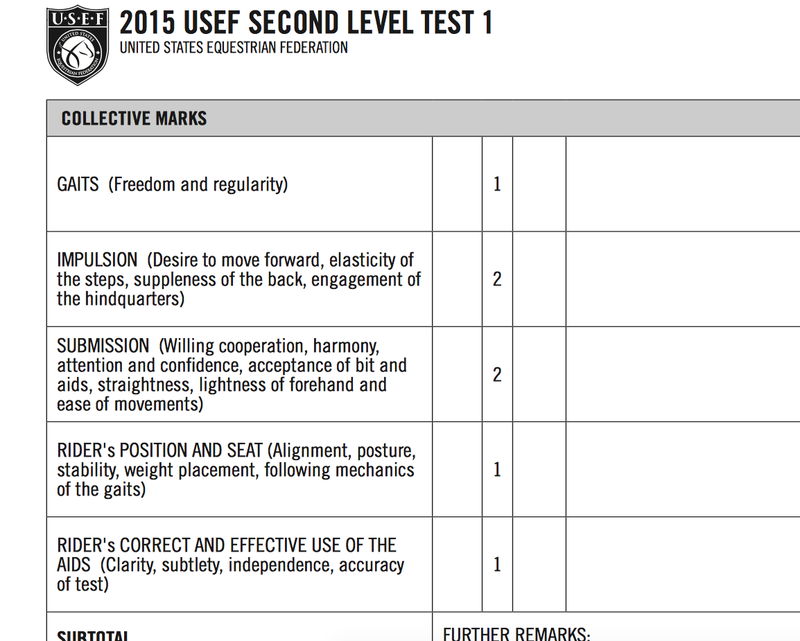 Disruption: what if dressage tests had THIS score included? 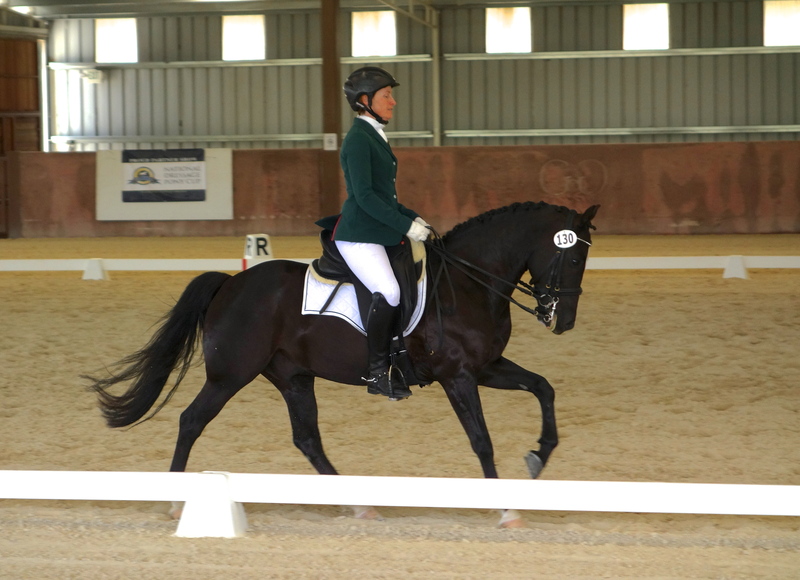 In Breed Show Dressage, natural gaits and ability are heavily weighted, often much more so than correct training. The judge is so taken by that amazing walk, that showy trot, that he throws out 8s and 9s with abandon, waving off the “little problems” of being behind the vertical, jammed in the neck, rushed, with the hind legs trailing. 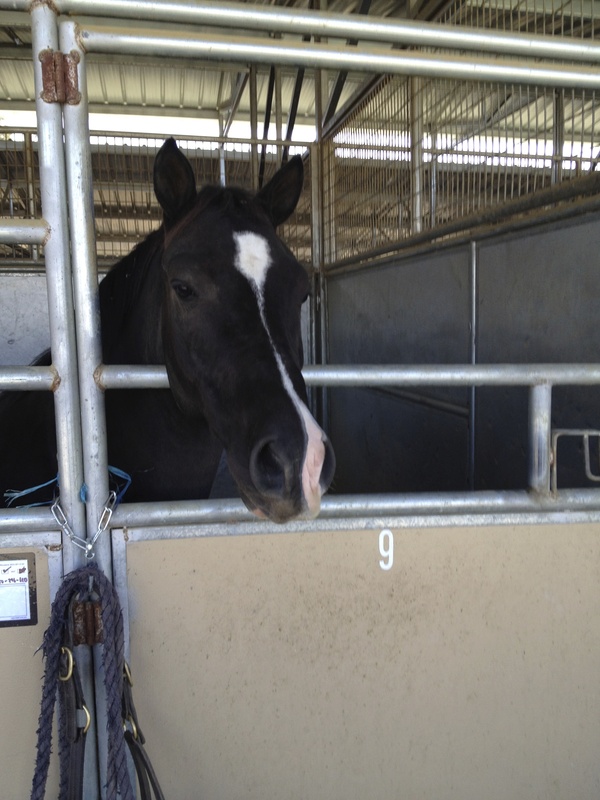 The next horse, a more ordinary citizen, elicits a yawn and a bunch of 5s and 6s. She just doesn’t have the razzmatazz that Spectacular Gaits had, although her tempo is good, her figures correct, she’s steady on the aids and using her back correctly. Who wins the class? Leg flicking Spectacular Gaits, by a long shot. Spectacular Gaits beats Correct Training, in other words. 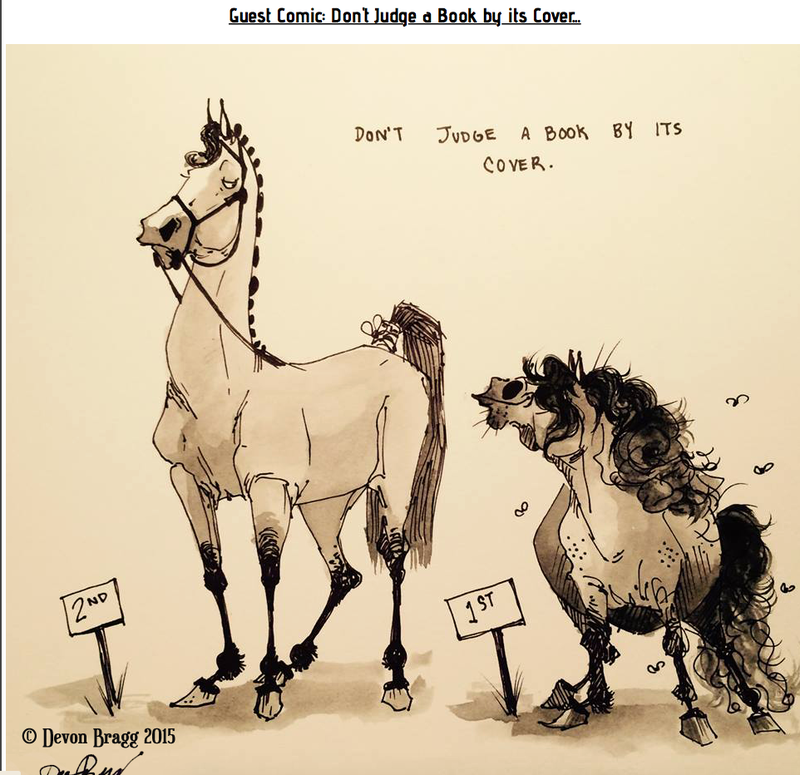 Proponents of breed show dressage say that we should reward good gaits. Indeed we should, WHEN they are the result of correct training and riding. the art or method of training a horse in obedience and in precision of movement. 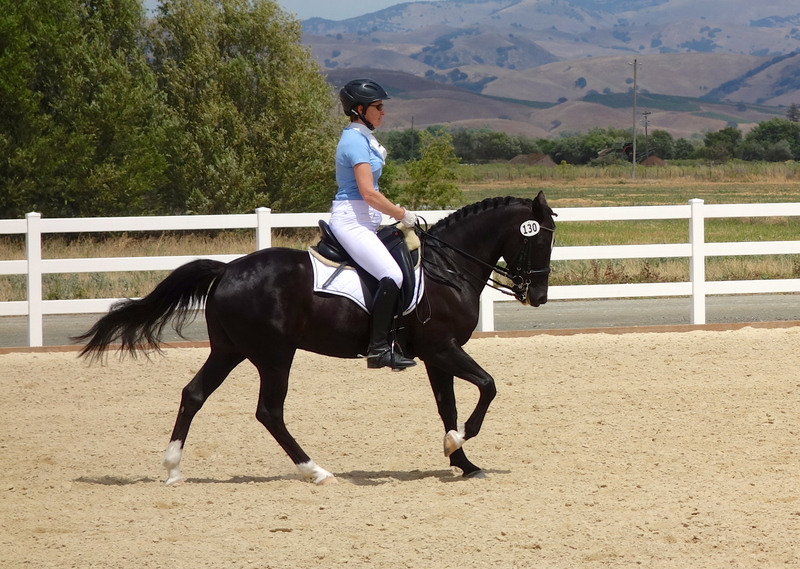 From the USDF site:Dressage is a French term meaning “training” and its purpose is to develop the horse’s natural athletic ability and willingness to work making him calm, supple and attentive to his rider. Perhaps our judges are being trained to interpret this as meaning that the more naturally talented horses should be rewarded more highly: start with the gait and add on from there. 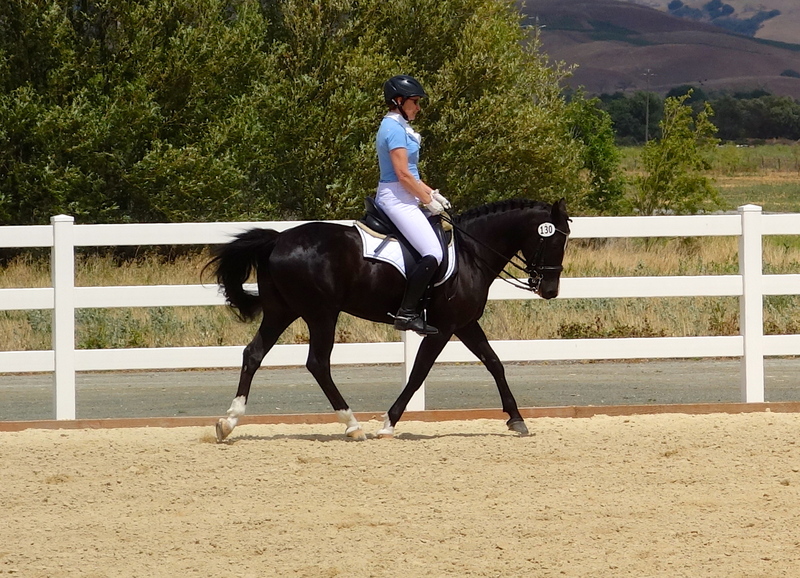 But to me, Dressage means training: to improving a horse’s natural movement, suppleness, obedience, etc. In the interest of full disclosure, I should say that my horse is not inexpensive (although not six figures), and I do get help from a trainer and clinicians. I’m not doing this on a super tight budget (although I have in the past). I’m just noting that maybe dressage is losing its way as it becomes more about Super Athletes and less about correct training. Perhaps my husband is right: let’s add on estimated PRICE under “collective marks,” just for jollies. 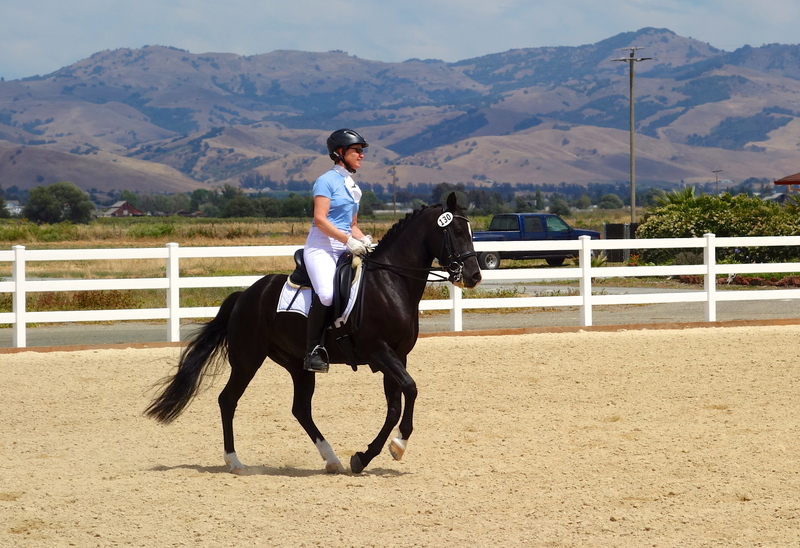 Dressage riders are particularly prone to over analysis, perfectionism, paralysis, self-loathing (brought on by the aforementioned activities), and DESPAIR. Far Above Par (Finn) in the warm up arena, doing a working half-pirouette left. I will NEVER achieve my goal! we cry in despair, whether that goal is to sit the trot without bouncing hideously, do tempi-changes or a decent pirouette, or simply ride a dressage test without going off course. Far Above Par (Finn) warming up. Yes, a little on the forehand, maybe some tail tension (did I just tap him with the whip? ), and I’m looking down. And those white breeches are not flattering. How’s the inner voice, eh? Eventers seem to be so much more laid back – perhaps it’s all that galloping, it just blows the cobwebs away and gives a nice shot of endorphins. Maybe seeing your life flash before your eyes when you almost wipe out on the cross country course helps keep little worries like whether you look fat in your white breeches in perspective. Who the heck really cares? People are all thinking about their OWN thighs, not yours. Seriously. As for hunter/jumper people, well, they are two different types, aren’t they? Hunter riders are a bit like dressage riders: everything has to be perfect: turnout, horse, rhythm, form, etc. Jumpers just want to get over the course clean and fast. The really good ones do it with good form, of course, but some pretty wild stuff happens on the jump course. Looks like fun…if I had more guts. 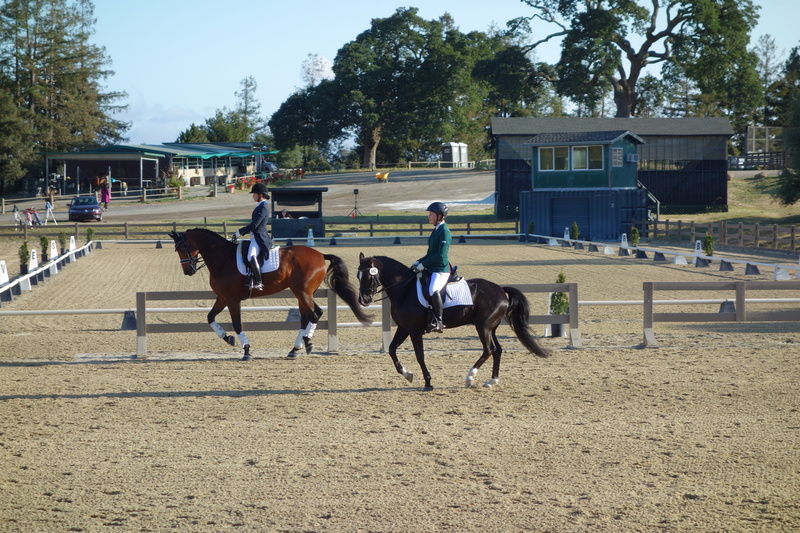 Last weekend Finn and I competed in a dressage show held over three long, long, long days. Grueling is how I would best describe it: hot, windy, tiring. Finn was a trooper (he’s a professional); I was a whiner. Things started out poorly, with me going off course in my first test in spite of having a reader. Kind of amazing, isn’t that? The judge gave me a disappointingly low score for the test, and it was a discouraging way to start the long show weekend. However, I got back on the horse (or pony in this case), and kept trying, looking at the show as a chance to learn and to practice my tests, worst case. Things got better and I’m glad I didn’t take my toys and go home, much as I wanted to after that first day! Don’t let perfectionism destroy the Good that is within your grasp. Take chances and enjoy what comes your way! Keep it fun for me!